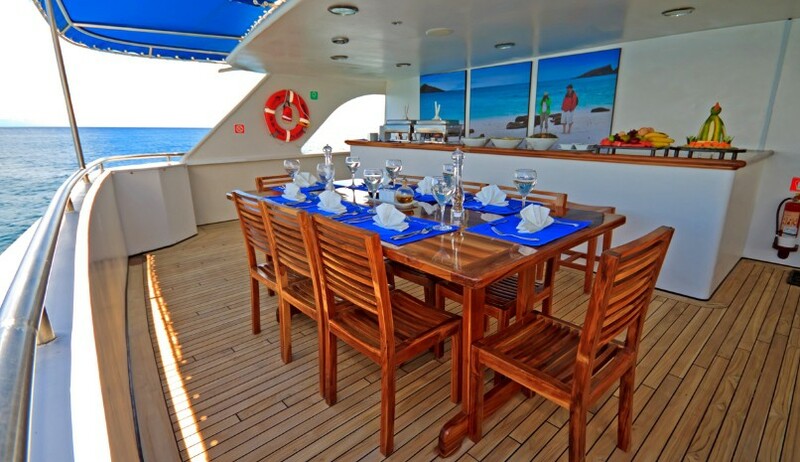 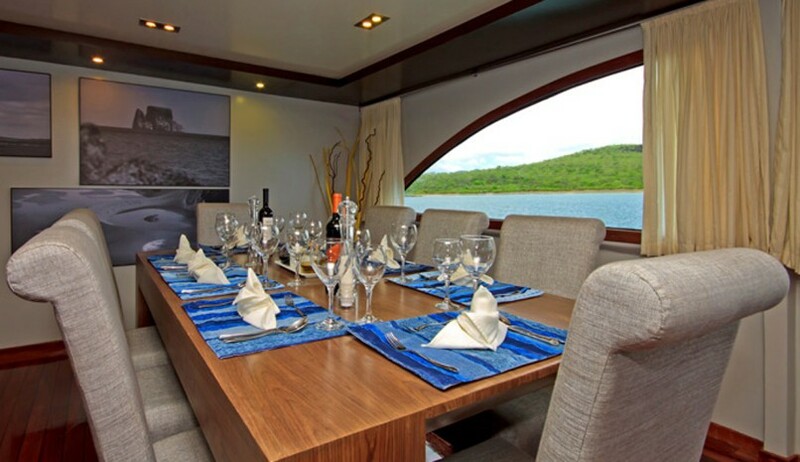 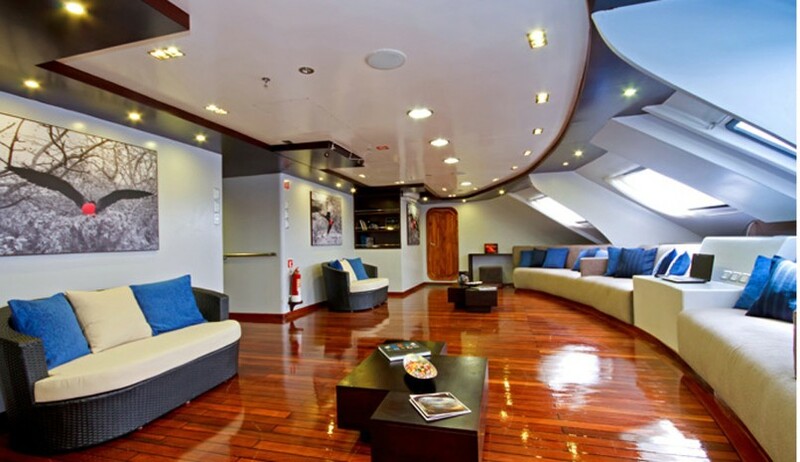 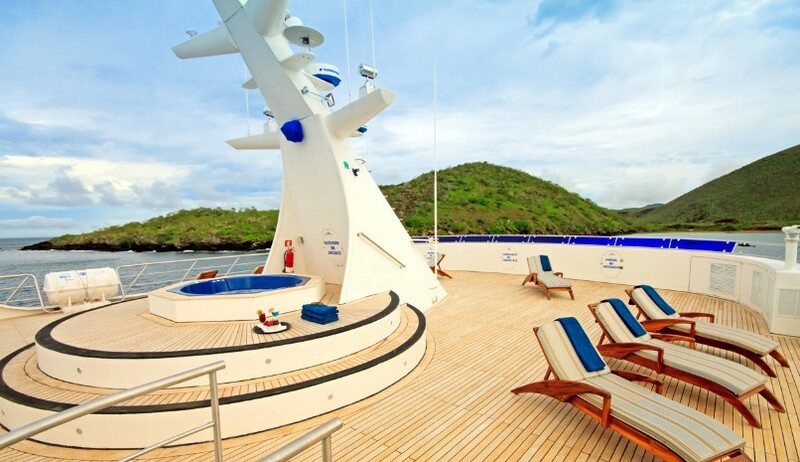 A modern, luxurious catamaran with spacious sundeck and jacuzzi plus elegant dining and lounge areas. 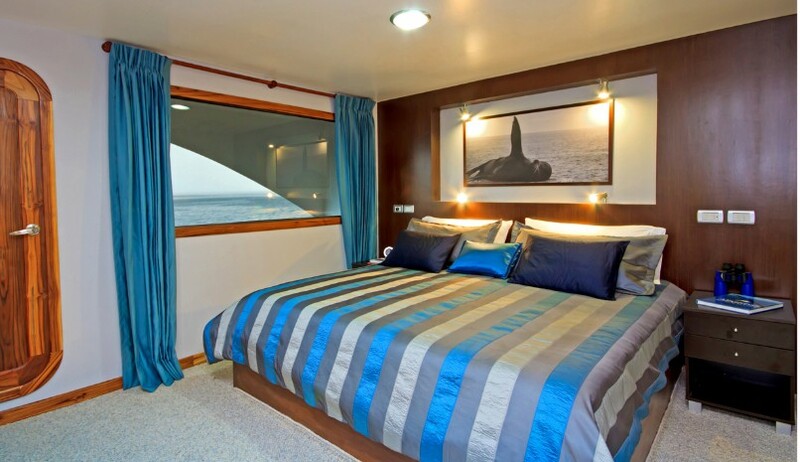 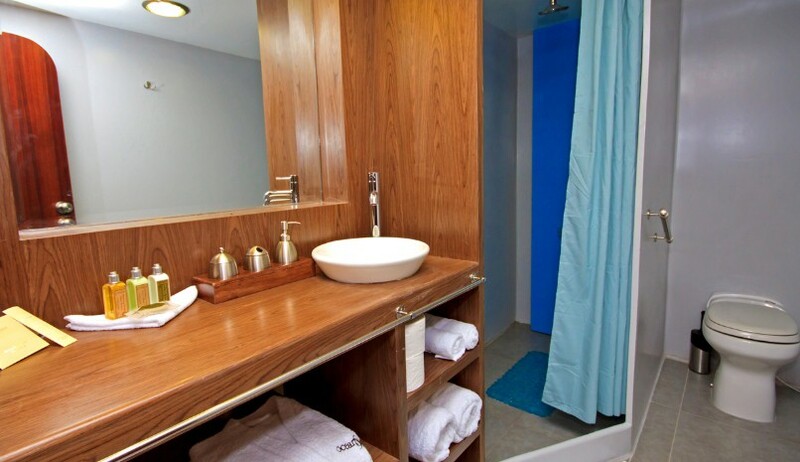 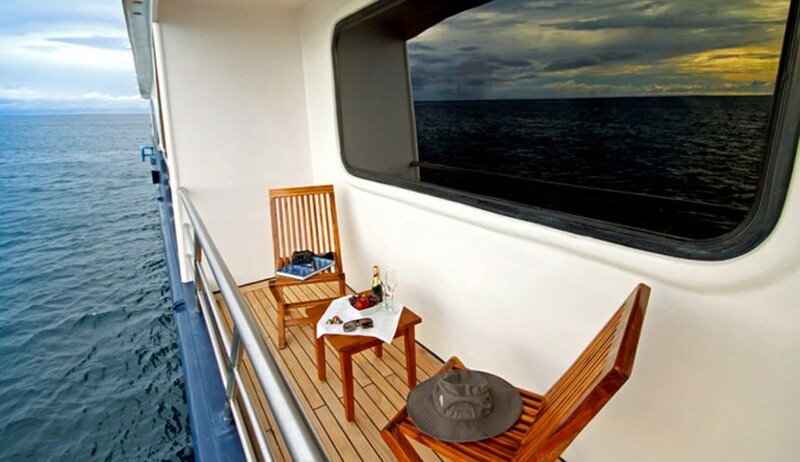 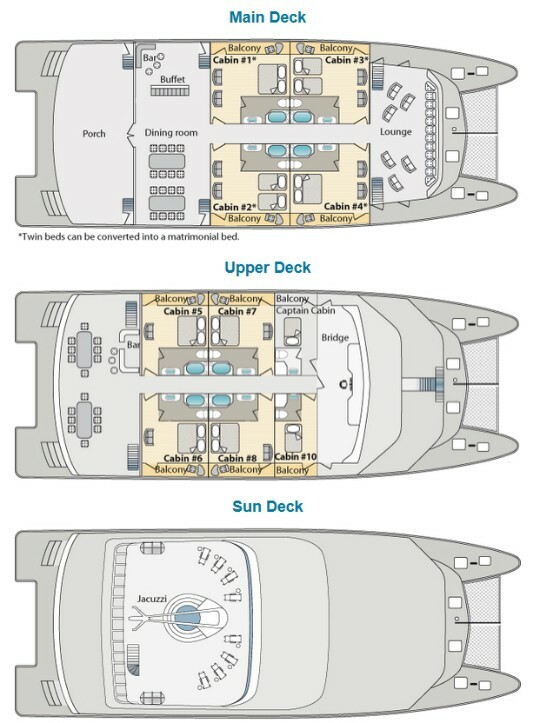 Mixture of double and twin cabins, each with private bathroom and balcony. 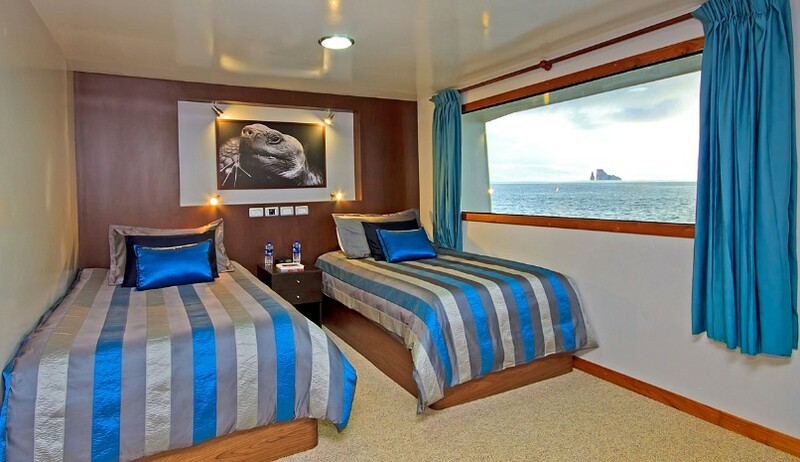 Kayaks and snorkelling gear provided.